2015 In Review… and my new friend Billy. A busy few months have gone by and a blog post is long overdue. Before too much more of the new year zooms by, I have a lot to catch you up on. The last handful of theatre gigs transformed me into a dancing zombie, a student from the French Revolution, a miner, and a nun! I met new audiences across rural Manitoba, performed another full concert of beautiful Bach cantatas, and took on an Intern Director role on top of a giant piece of fruit. Lots to talk about! I’m going to begin last summer (which feels ages ago). Another successful and fulfilling summer came and went at Rainbow Stage. I was lucky to have been cast in two productions in their most recent summer season, Sister Act in August and Les Misérables in July. Once again, I worked with some amazingly talented people, connected and collaborated with some old peers, and met some new friends under both engagements. Here is my favourite snap from the summer. What a good looking group of guys! 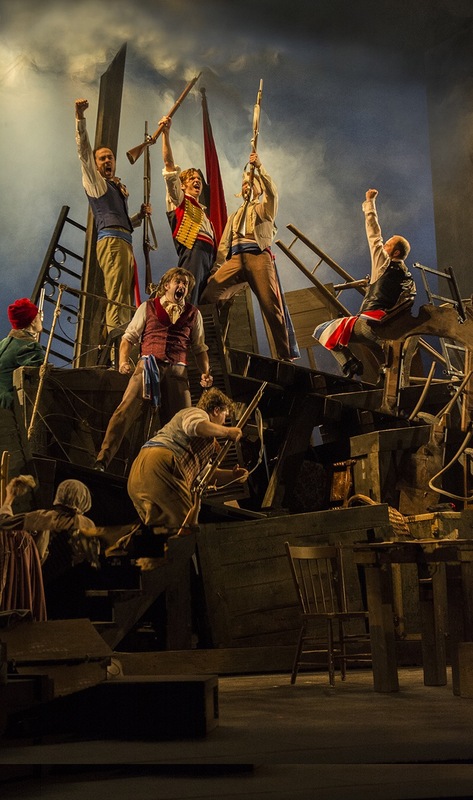 This band of forward-minded students fought for freedom atop the barricade and we were the lucky dudes who told their story – one of the most beautiful in all of Musical Theatre. This production was one of the most impactful experiences I’ve ever had. Our creative team and cast presented something utterly beautiful that, I hope, effected our audiences the same way that I was. I discovered the most meaningful, inspiring piece of text in Les Misérables. It’s going to stick with me for a very long time. Does is resonate with you the same way it does with me? My busy season of theatre actually began in May with a production of The Addams Family with Dry Cold Productions. This experience was something new for me. I worked with a familiar theatre company, but had a different pressure on my shoulders with an ensemble track… oh yeah, and more makeup during the run than I’ve worn in my entire life! I also was privileged to work with choreographer Robert Boge. This guy is unbelievably talented, creative, and one hundred percent story driven with his movement. He also happens to be my employer at Kickit Dance Studio and one of my best buddies! In September, he and I jetted off to Las Vegas for a relaxing, post-summer vacation. I think I’ll leave the photos from that trip off my blog… However, here is a ghouly glimpse of what we looked like as undead members of the Addams Family back in the spring. 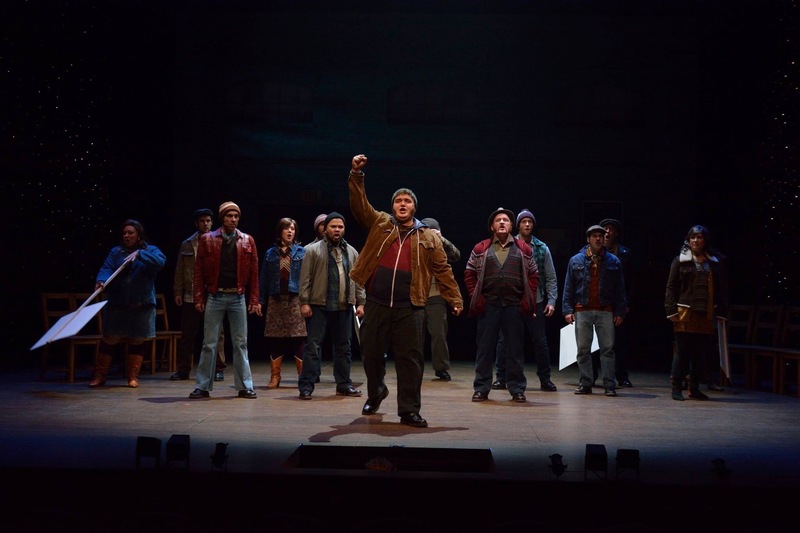 One of Winnipeg’s theatres breathed in new air this season and I got to be a part of it. In October, Winnipeg Jewish Theatre opened it’s season with a musical production of Stars of David. It was such a rewarding experience to explore many aspects and traditions of Judaism and how the religion pertained to the famous characters we portrayed. The company welcomed a new Artistic Director earlier last year and he has been busy behind the scenes at the theatre. Ari Weinberg is the new dude in charge and he was also our director on Stars of David. Also in October, I participated in the inaugural Opera Idol singing competition organized by Flip Side Opera… and I won! It was a great group of singers and a beautiful evening of opera. I had a lot of support that night and I was honoured to receive the prize. I really hope this competition becomes a annual thing (….I think that’s their plan). Winnipeg is full of so many talented singing artists. Here’s a link to the Winnipeg Free Press article. 2016 began with my first engagement with Manitoba Theatre Centre. Billy Elliot the Musical opened on January 14 with rave reviews! This beautiful story was a privilege to perform. It was touching, tragic, and electrifying, and it left our audiences in tears of bittersweet joy. The forty-person cast of exclusively local artists (almost) presented a piece of theatre that was truly special. It was the first sellout run of an RMTC production since the mid 1990’s. That’s certainly something to be proud of! Check out this awesome snap! That’s the update! Check back in the near future for my next blog post.